Ttukseom Resort Park is a great place to spend an afternoon or a day. 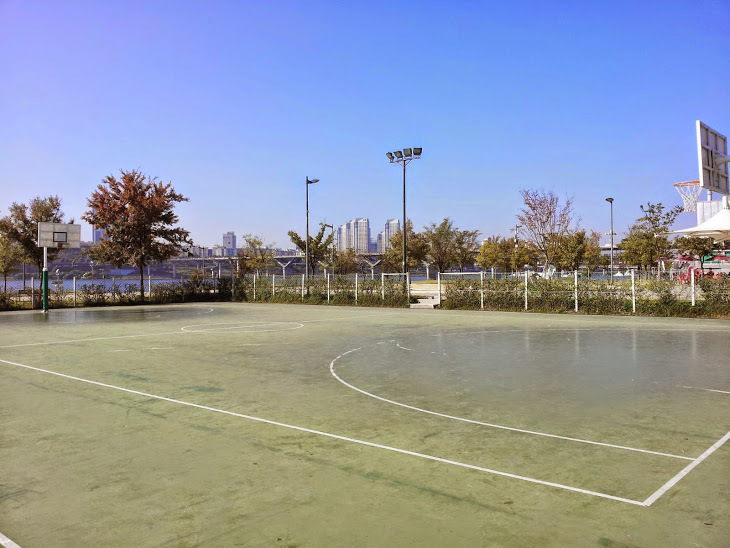 Situated alongside the Han River, it has a man-made water fountain, a skate park, a picnic area, bike trails, and basketball courts. The courts are busy and scenic. 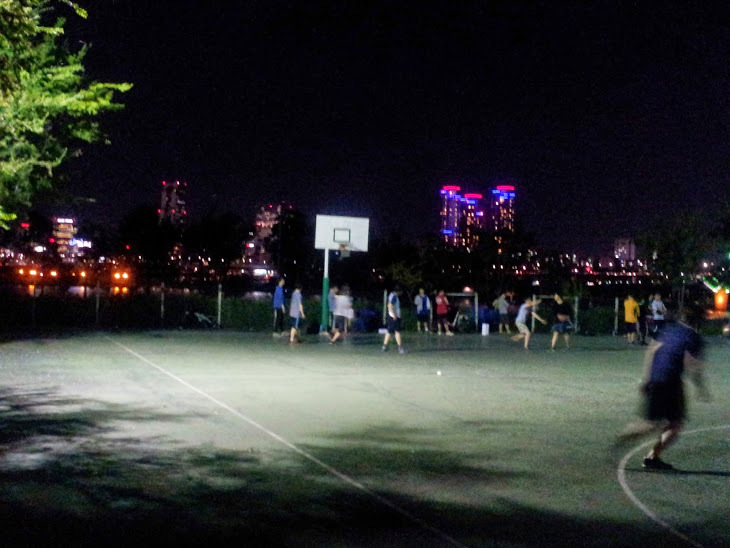 There's one thing to be said for the basketball courts at Ttukseom Resort Hangang Park: They have great scenery. Actually, there's a little more that could be said. 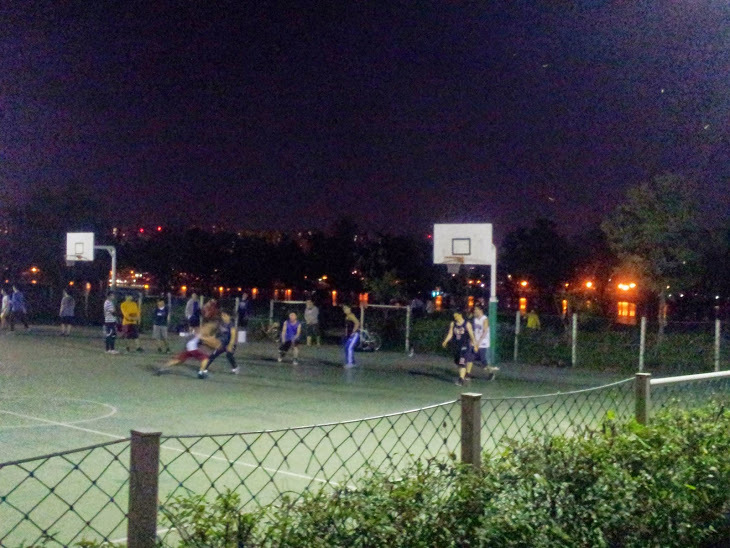 They also play home to some pretty decent pick-up basketball games. Day, night, weekend, weekday, etc. You can always count on Ttukseom Resort for basketball games. Green hard top. Similar to Yonsei University's. A little slick, but it does the job. Options - There are two full courts, and usually there are four half court games going on. The games usually get divided naturally by skill level. You can easily join in. 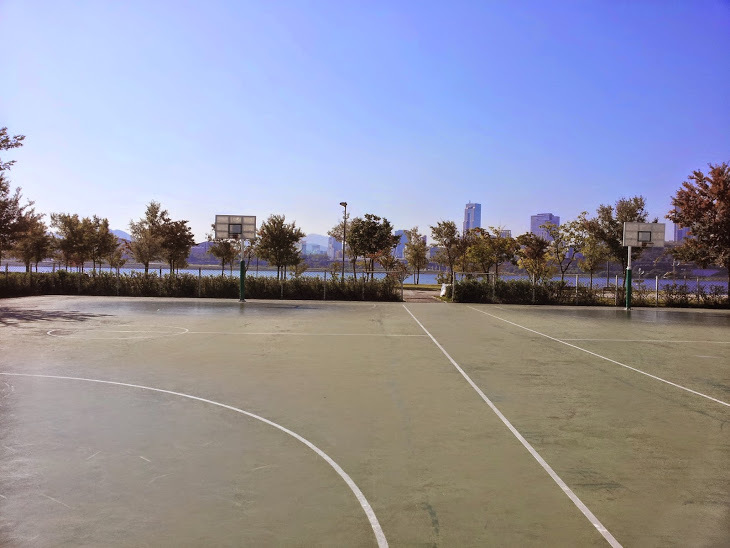 Scenery - The Han River also sits behind the courts. During the day it makes for a great view. Night Games - Games go on until late. I’ve been there until eleven and all the courts have been full. Dim Lighting - The lights stay on until late but the lighting isn’t the greatest. There are four light posts on each corner of the court. This makes for some dark spots. It takes a little while to get used to. Late Start Times - During weekdays, the courts don’t get going until the evening. There is a convenience store close to the courts. Thirst is everything. Obey your thirst. 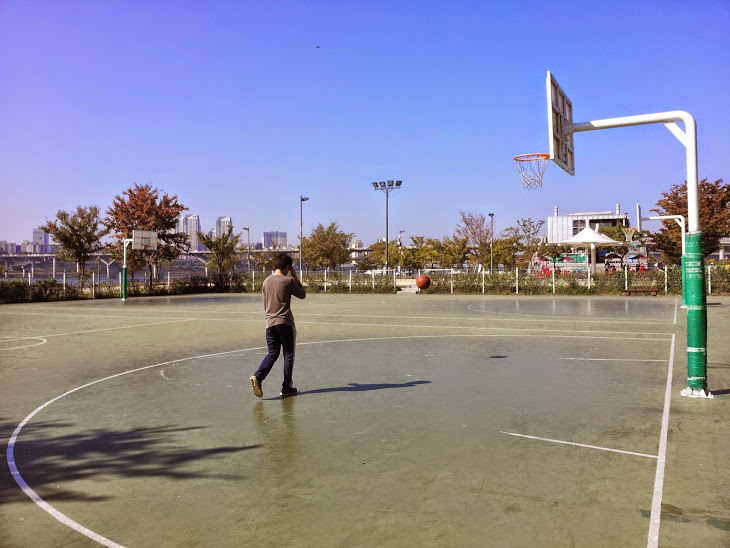 To see more photos of Ttukseom Resort's basketball courts, please visit our Google photo album. -Come out of exit 2 and walk straight until you hit the bike trails. Take a left. -Continue along the path. You will pass a waterfall and skateboard park. The courts will be on your right close to a convenience store. -Alternate: If you are familiar with the Han bike trails, use them. Ride along the Han until you get to Ttukseom Resort Han River Park. Find the courts near the waterfall and convenience store.